Give plush pets a cozy place to call home! 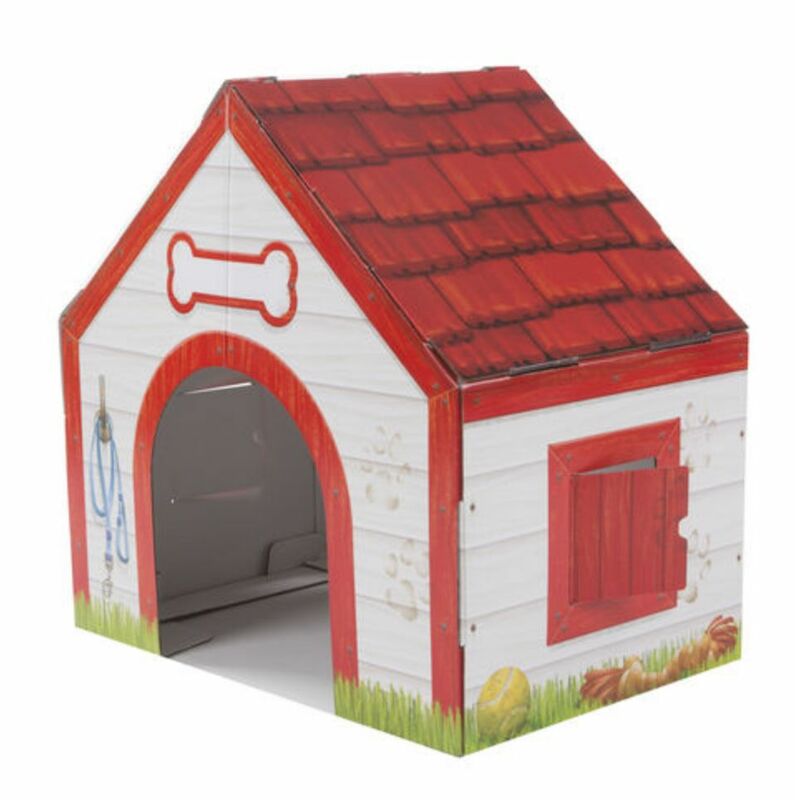 This sturdy, 100% recyclable corrugate cardboard playhouse stands 22 inches wide, 22 inches tall, and 15 inches deep, and is covered with vibrant, full-color exterior artwork. 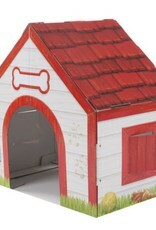 Packed with playful details like an illustrated red shingled roof and a kitty hiding in the back, the easy-to-assemble doghouse includes shuttered windows for furry friends to peek through and a sign over the door to personalize.